After a perusal thought the local shops and lunch we headed off to visit three more vineyards. As I mentioned yesterday, what really makes a visit to me is the people. 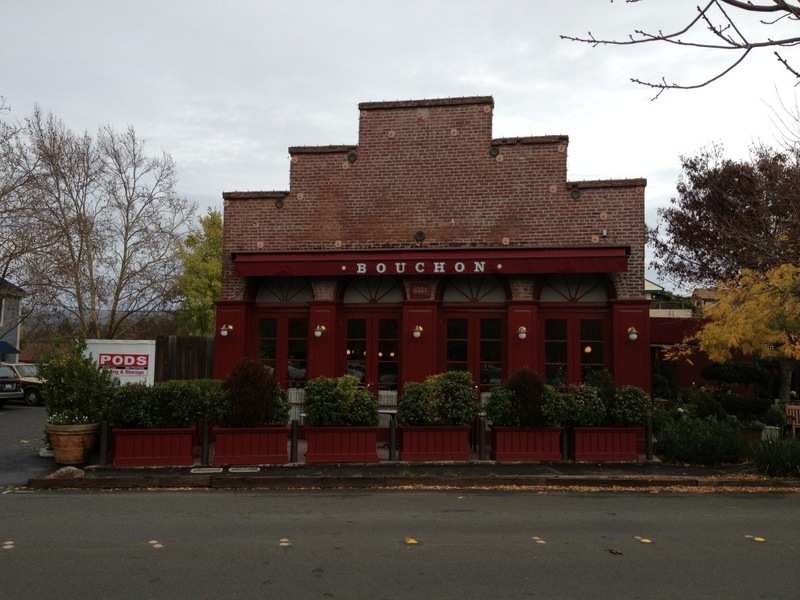 I am in Napa Valley – for a wine enthusiast, there are plenty of great wines here. The experience that the people offer make a good wine great. 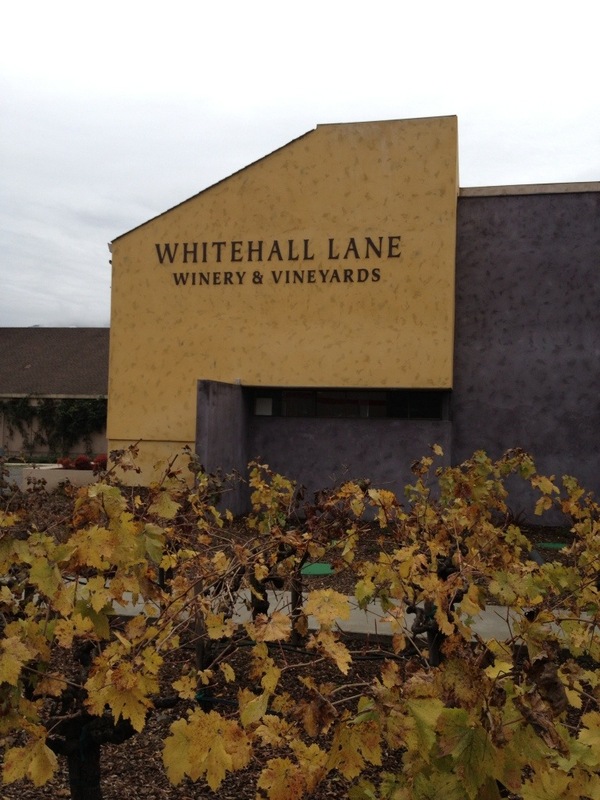 The first vineyard we visited was Whitehall Lane. The very moment we walked in I knew this was a great winery. 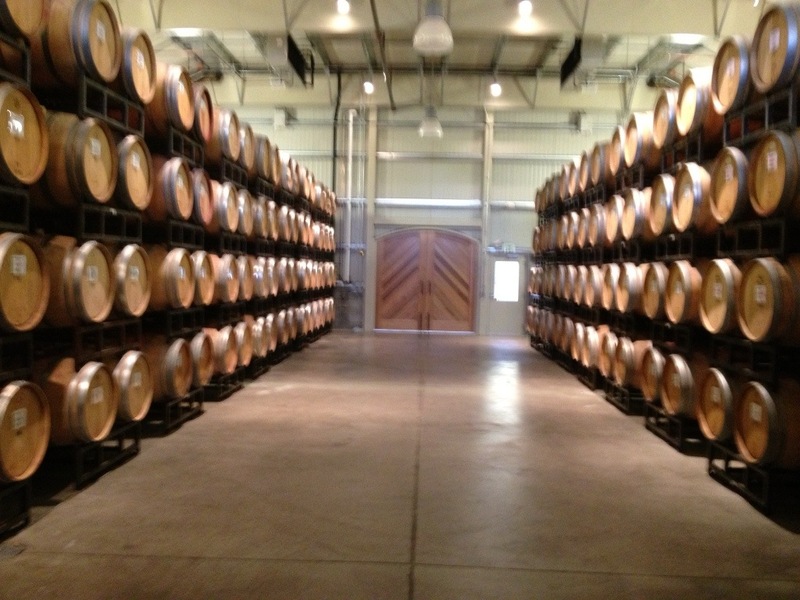 I saw a glass door to where the oak barrels of wine were. I asked if we could go in to take pictures. A very nice gentleman not only said yes, he took us through to see (and smell) the most wonderful storage facility. My friend and I enjoyed talking with him. He grew up near where she lives and his wife has run the California International Marathon before, so we had plenty to chat about. He then guided us up to take a look outside. 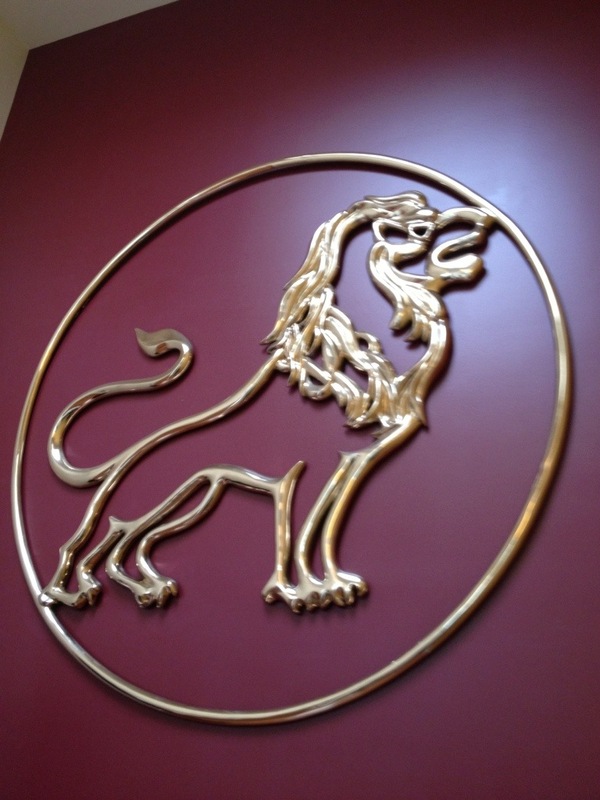 I saw the wine emblem on the wall and took this picture. He said his last name is Leonardini, which means lion, and hence the emblem. He is part of the family who owns the vineyard. Very humble and very willing to share the story of the vineyard. He showed us the views including an oak tree that is over 700 years old. After talking quite a bit, we headed down to the tasting room. Not only are the people wonderful, so is the wine. And they ship to Ohio directly! Sign me up for the club membership. We had a great time tasting. Everyone there really showed us how wonderful the vineyard is. The family, the tasting staff, and the club coordinator. A true example of how a very good vineyard is great when you meet the people. 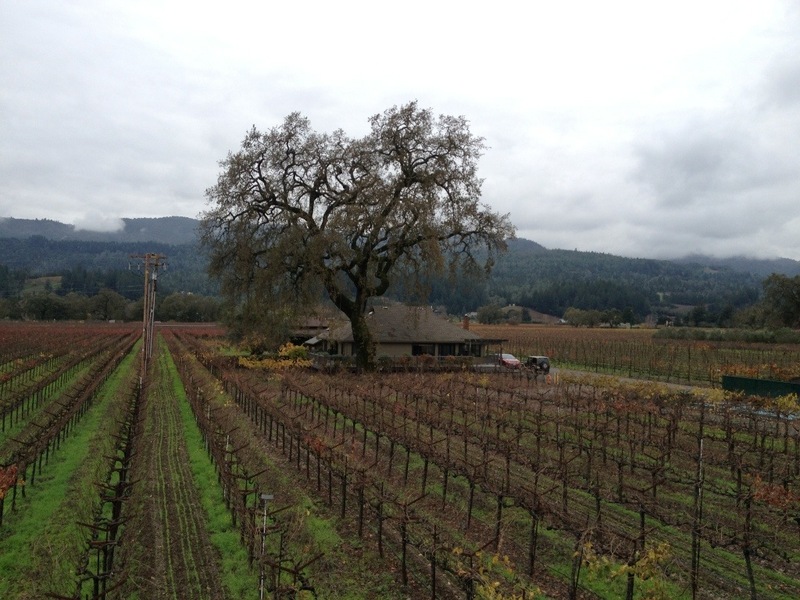 Next we headed to the Stags Leap region of Napa Valley and to Clos du Val vineyard. 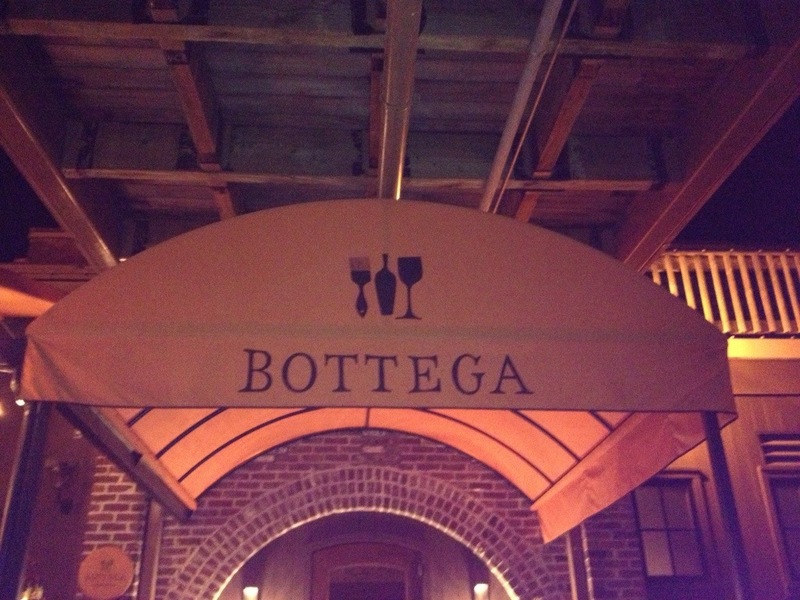 A very good vineyard, a very good tasting, nice people, but not the full “experience”. Of course it didn’t stop me from ordering a few bottles of wine. Next door was the third vineyard we visited. 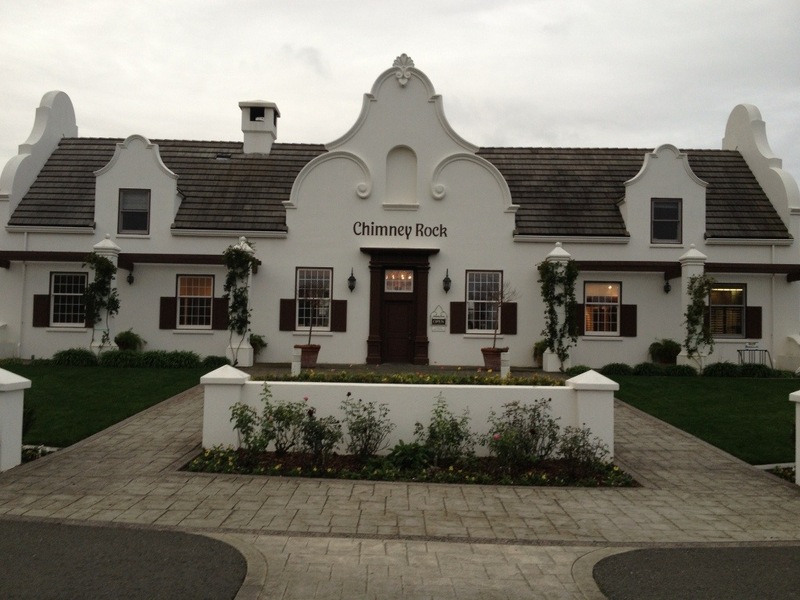 Chimney Rock Vineyard, which is another great experience. 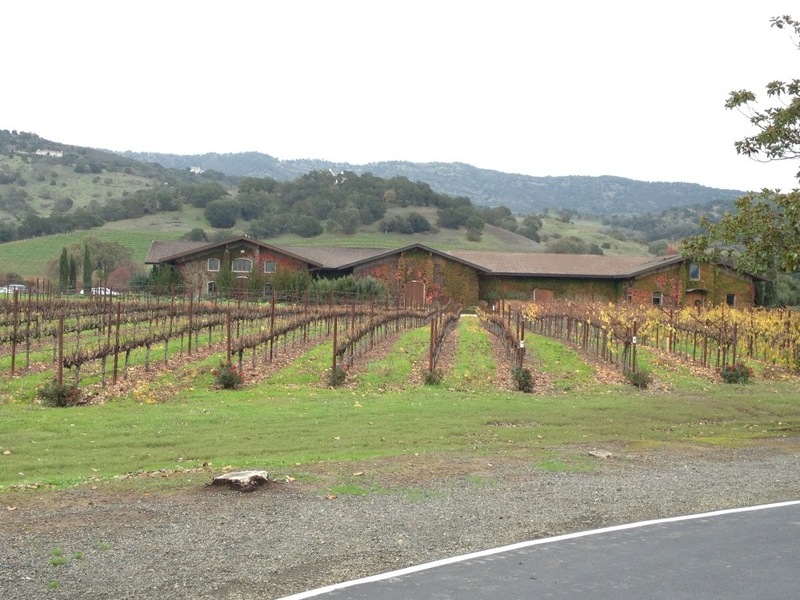 The speciality in the Stag’s Leap region is red wine, my favorite. We met Tom, who helped us with the tasting. Again, the people make the place and we really enjoyed they wine and the ambiance. 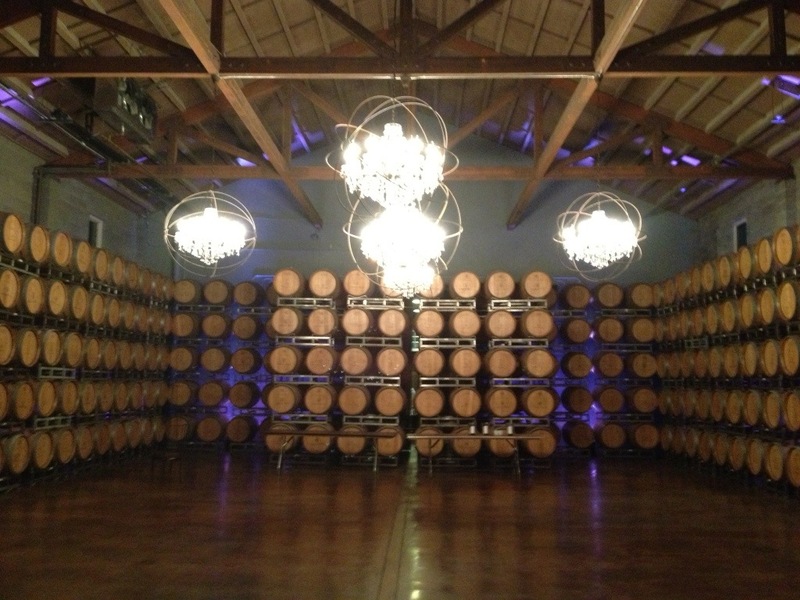 The wine barrel room was beautiful. The wine was wonderful and I have plenty of souvenirs to take home. This vacation has offered so much. I ran a challenging marathon, visited San Francisco (yes, my heart will always belong to the city), off to Napa Valley to visit wonderful vineyards and restaurants, and most importantly I spent the time with a very special friend. Seizing the day, appreciating what life has to offer, enjoying each moment – these are some of my top goals in life. Oh and I had a massage today too. Really, what could be better?